Digital coins have enjoyed a great success in the online casino industry over the past few years, with the number of players using cryptocurrencies to deposit and cash out from their accounts growing higher every day. But according to a recent study from the Rutgers University in New Jersey, this success may have been helped to some extent by a newly-discovered connection between cryptocurrency usage and online gambling. According to a new paper from the Center for Gambling Studies at the Rutgers University of New Jersey, a new link has been found between frequent cryptocurrency trading and gambling problems. As the research outlines, buying and selling cryptocurrencies particularly appeals to individuals who are struggling to manage their gambling activities. Reportedly, the study’s objective was to estimate how often online gamblers use cryptocurrencies as a payment method but also whether digital coins have any connection with a higher risk of problem gambling. The study’s main author, Devin Mills, says that while there are people who see crypto trading as an investment there is also “an alarming proportion” of individuals who gamble on cryptocurrency trades the same way as they would wager on online slot machines and sportsbetting. A total of 876 adults have responded to the university’s survey, each of which had engaged in gambling activities at least one time per month throughout last year. Their answers were submitted online and showed that at least 50% of the respondents have traded cryptocurrencies during the year. A correlation was also found between high-risk stock trading and crypto-trading, with more than 75% of people who traded high-risk stocks answering that they’ve also bought and sold cryptocurrencies. While the study at Rutgers was making headlines in the US this week, another study from across the pond was also published that showed similar findings. 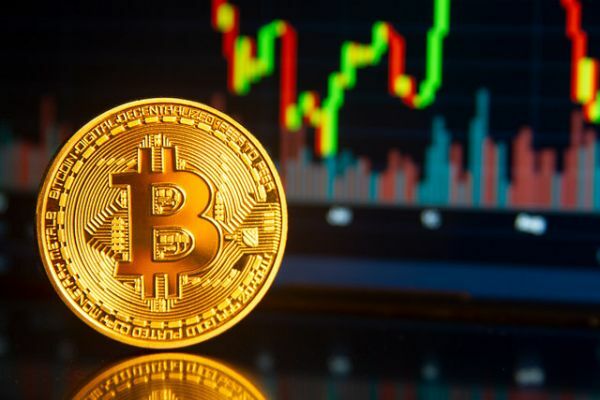 As the Telegraph reports, a new study from UK’s Financial Conduct Authority (FCA) has been released that suggests that Bitcoin traders can behave like problem gamblers and become “obsessed” and “delusional” with their investments. The study, which surfaced online at the end of last week, outlines that in many cases cryptocurrency investors exhibited gambling behavior when purchasing digital coins. The research concludes that only a small number of investors were aware of what they were buying, with many not even knowing that they’ve only purchased a fraction of a coin when they spent their money. Most respondents to the study also believed that a profit was “inevitable” and “highly likely” while only a few were aware of the risks of trading crypto assets. The FCA thus concludes that many investors exhibit the “distorted thinking” of problem gamblers and some also exhibit a compulsive behavior, checking their investment’s values frequently throughout the day. But what is most worrying is that many of the survey respondents said that they’ve spent their entire life savings on crypto. That’s why it’s important to seek help at an early stage if you ever feel like you’re having problems with gambling or spending responsibly.